Specializing in bankruptcy law makes us better. Robert W. Raley has personally helped over 6,000 clients get free from the burden of millions of dollars in debt. 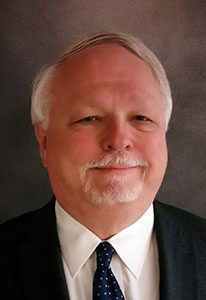 He has handled just about every aspect of bankruptcy law and is a board certified bankruptcy law specialist. He knows the answers. He knows the laws. He knows how to make the law work for you. We take great pride in the level of caring and respect we show our clients. Filing bankruptcy is an important decision, and we know that you will have worries and concerns. For most people, the mere thought of filing bankruptcy seems scary. We know this, and that’s why we focus so much energy on addressing your worries and concerns and why we promise to do our best to address all of them. That’s why we encourage you to ask questions so you get all the answers. For sure… we will tell you all about how bankruptcy works. But more importantly… we will try to address all your concerns about how it feels, what filing really means, and… as best we can…what you can expect will happen in the future. We only want what’s right for you and your family. If that’s bankruptcy… fine. And, if not, that’s fine too. Either way… for us… it’s all about the warmth and the welcome. You will like our staff. We are very careful to only hire people who are good with other people, people who will care deeply about other clients. There’s a reason our clients send us thank you letters, and why we get so many referrals. You have been through enough. It’s time for you to be treated with kindness and respect. You are a good person and the last thing you need is someone else….like your creditors… to disrespect you or treat you rudely. You have a right to be treated like the good, honest, hard-working person you are, someone who cares deeply about the family, and someone who cares deeply about doing the right thing. We know that it hurts you to file bankruptcy, and that you are only doing so because there is no good choice and because you can’t go on the way you have been. We know you need to put things back in their proper order…family first. We understand. Life can be brutal. That’s why…for us…it’s all about “the warmth and a welcome”. Our law firm provides results. We don’t just say it. We have the cases and clients to prove it. We have helped thousands of clients move down the road to a debt-free life. We lower monthly payments for almost every client we represent; and it is common for us to save clients hundreds of dollars in payments every month. And lowering monthly payments for our clients lowers stress. Isn’t that what you really want? Less stress so you can focus on more important priorities…like your family. You don’t have to pay more to get the benefit of Robert W. Raley’s expertise and experience. In most of the Chapter 13 cases we file, we accept the “Standard Fee” established by the Court. You get all our knowledge and experience for no more than you might pay a lawyer with little or no experience or from a law firm that passes you off to a paralegal. So….which lawyer would you choose?